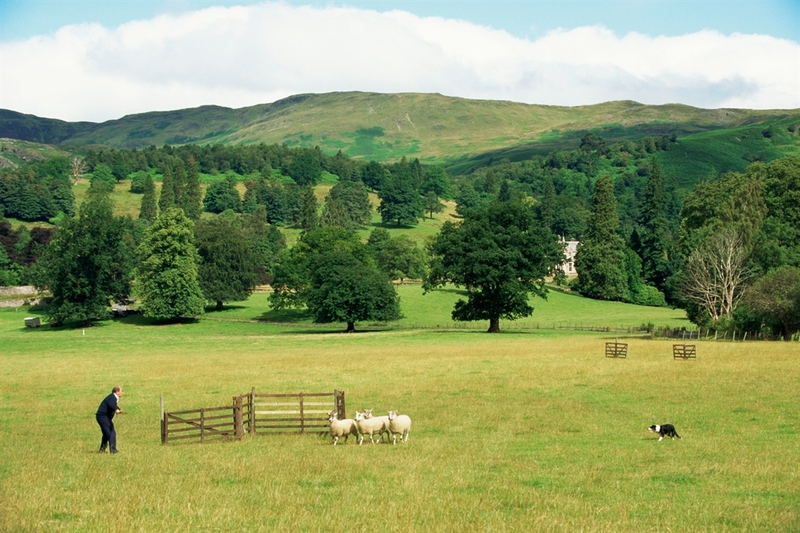 The pretty town of Callander lies immediately south of the Highland Boundary Fault which is historically a meeting point between the Highlands and the Lowlands. 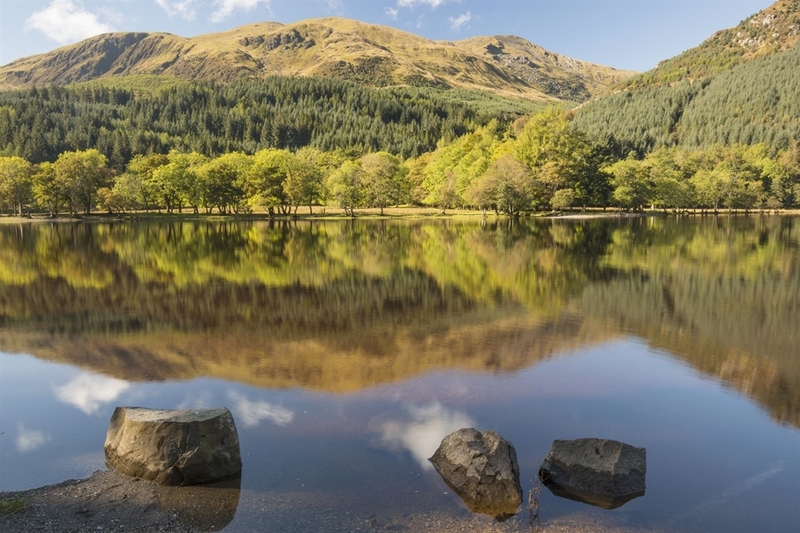 This holiday town is a popular base for tourists exploring the Loch Lomond & The Trossachs National Park and 'Rob Roy Country', or stopping off on their way up into the Highlands. Set dramatically beneath high, wooded crags, the colourful town is crammed with teashops and souvenir shops. Callander gained fame as the location for the original Doctor Findlay's Casebook television series. There are a number of popular walks in the area for visitors to explore. 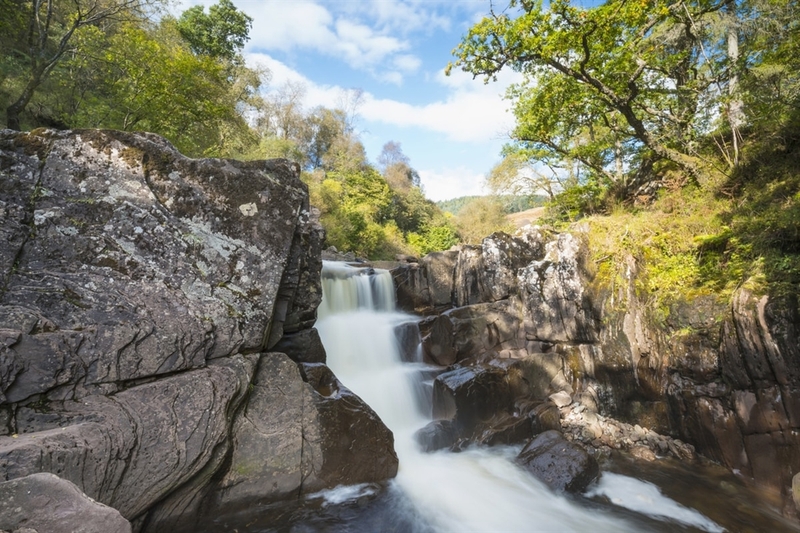 The beautiful Bracklinn Falls and the River Keltie have mesmerised people for generations, to the west footpaths and cycle tracks follow the old Callander to Oban railway, and from the summit of Callander Crags there are spectacular sweeping views over the town of Callander and beyond to Stirling and the Forth Estuary.